Due to the widespread dependence on information technology and the growth of both service and manufacturing companies, the intangible assets of companies are becoming vital parts of the value chain. A company’s intangible assets such as inventions, brands, designs, and everything resulting from the innovative and creative endeavors of employees have become increasingly important to the company’s bottom line. But intellectual property is only valuable when a company can protect it. 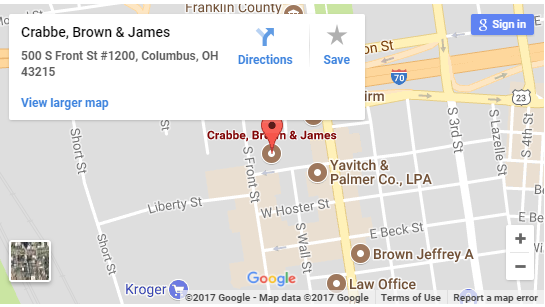 At Crabbe, Brown & James LLP, our integrated intellectual property team works diligently to protect our clients’ intellectual property. Our attorneys do this at all phases of the intellectual property lifecycle including preparing and filing trademark and patent applications with the United States Patent and Trademark Office, preparing and filing copyright applications with the United States Copyright Office, monitoring infringement activity, and litigating to protect your intellectual property rights. When litigation is required, we will provide comprehensive analysis and advice to clients and seek creative solutions to often complex intellectual property problems. Our attorneys are well-equipped to handle litigation across all phases of federal and state intellectual property laws including the Lanham Act and Ohio unfair competition statutes. Our team also stays up to date on changes and the latest trends in intellectual property law. In short, our team is well equipped to help clients put in place the appropriate legal protections to establish their intellectual property. We then vigorously defend clients’ intellectual property rights to ensure they continue to get the full value of the ideas and brands they create.